VA Home > VA Refinance > What is a Loan to Value (LTV)? In issuing a loan, lenders take on risk. This is why such stringent underwrtting requirements exist for traiditonal loans. Lenders want to make money, thus they try to avoid giving loans to individuals who present a greater risk of mortgage default. Because VA home loans are insured by the Department of Veterans Affairs, the lender is guranteed re-payment. As a result of the lessend risk, VA loans are easier to qualify for than their conventional counterparts. Easier qualifying standards means reduced underwriting guidelines. Similar to many of the other barrometers used to gauge a borrwers potential to pay off the loan, the neccassary loan to value ratio is postively impacted. 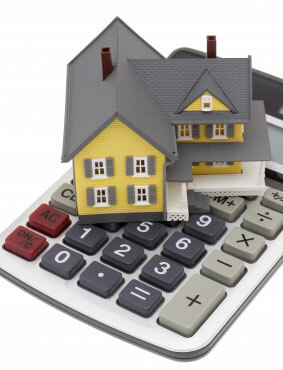 With a VA loan a borrower can obtain financing for 100 percent of the loan to value ratio. For example, if the value of the property is $100,000, the borrower can obtain a loan for $100,000. Borrowers with low LTV are more desirable in the eyes of lenders because they present less risk of default than those with higher LTV. The more out-of-pocket money put into the mortgage by the borrower equates to a greater likelihood that they will fully repay the investment. Point blank, owners who are more willing to put more of their own money in are usually in a better position to receive financing than those who do not. Owners with negative equity on their property facing a foreclosure may benefit from VA Home Loan Centers’ seller’s assistance programs. Remember, VA Home Loans Centers offers this service at no out of pocket cost to veterans and servicemembers. The loan to value (LTV) ratio is the percentage of value which you want to obtain financing for. For example if you want a loan of $90,000 and the value of a property is $100,000 than it is a 90% loan to value ratio. The appraisal plays an important factor for the LTV. An appraisal estimates the value of the property. The higher the appraisal comes in the lower the LTV will be. To determine your loan to value ratio, simply view the property value post appraisal, calculate the borrowers’ mortgage amount and down payment, then divide the loan value against the property value. EG: The appraised property value of a home is $300,000, the borrower’s down payment is $50,000 and the mortgage is $250,000: LTV of 83 percent. 250,000 (Loan value)/300,000 (property value) = 83 percent. In addition to using Loan-To-Value as a determining factor into mortgage financing, it is used as well to establish if a borrower must pay private mortgage insurance. Fortuitously, VA home loans do not require Private Mortgage Insurance, nor do they call for a down payment.